The landmass was spotted in the Arctic Circle using remote-sensing satellites, but it’s emergence isn’t good news for our planet. 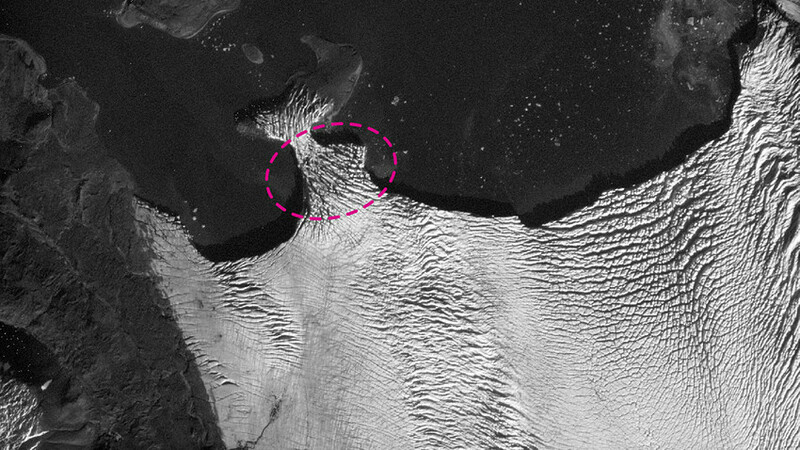 A new Russian island materialized just three months ago in December. The melting of a glacier at the Novaya Zemlya archipelago is responsible, according to Roscosmos - Russia’s space agency. The island, located where the Vilkitsky-Yuzhny glacier once bridged the archipelago, was discovered on Jan.31 in Samara during a youth conference. Footage from Russia’s Kanopus-V, and Europe’s Landsat 7 / 8 and Sentinel-1 / 2 remote sensing satellites picked up the new landmass, which is only 0.2 km squared. The papers officially recognizing the newfound island have been sent to Russia’s Geographical Society for official approval. The students have made some troubling discoveries during their research, including the alarming rate at which glaciers in the area are melting, which apparently doubled during the period 2001-2015 compared to 1959-2001. In response, the Earth-Solar Physics Institute at the Siberian branch of the Russian Academy of Sciences has launched a network of satellites to study the ionosphere above the Arctic. The network will be able to analyze the planet’s changing conditions more accurately.